When comparing prices please ask the owner where they are located in the resort. West and North Village are older sections of the resort. 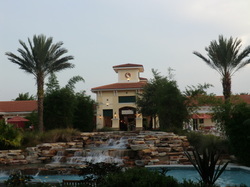 River Island was built as a luxury resort for Orange Lake. You will not find another villa in River Island at this price. 2 Bedroom 2 bath Villa located in Orange Lake’s River Island Luxury Resort. Master Bedroom has a king bed, TV, small sitting area and private bath with whirlpool tub. Second Bedroom has 2 queen beds, TV. Full kitchen, full washer & dryer, living/dining room area with queen pullout couch, screened in patio overlooking river island. River island features a lazy river, water slides, water fountains for kids to play, Jacuzzi s, The hammocks (sandy area for kids to play), mini golf, sand volley ball, giant hippo water slide 168 ft slide, super trampoline, playground, arcade, daily organized activities for kids.